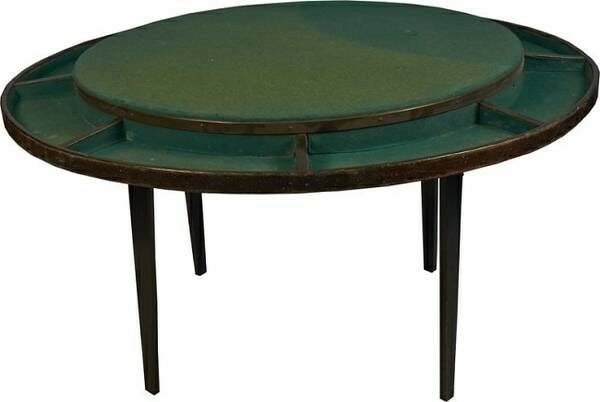 Antique Round Old West Poker Table with dividers. The Table measures 56” inch Diameter. Antique Round Old West Poker Table with dividers. The Table measures 56” inch Diameter. Please email cowboycabin@centurytel.net with questions or call 406 270-2842.